This in-depth version of Jesus’ life opens with a very thorough depiction of the story of his birth. The film doesn’t skimp on some of the other landmark events of this famous story either. Director Franco Zeffirelli gives ample screen time each to the Last Supper and the Crucifixion. Passages of the Bible are quoted verbatim, the locations have a Palestine-like authenticity, and, aside from some of the principals, many of the non-Roman characters are actually played by Semitic-looking actors. 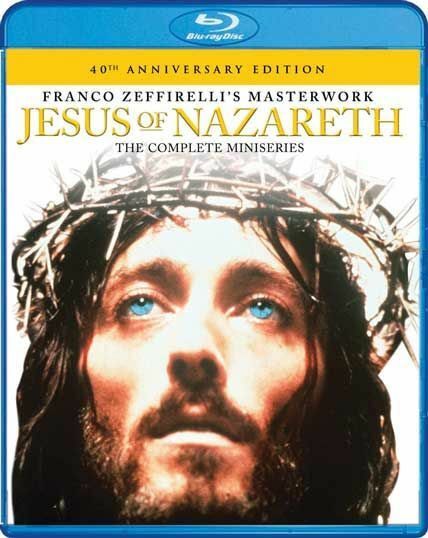 Zeffirelli diligently provides the socio-political background that gave rise to Jesus’ following and the crisis in belief it caused for the people of Israel (and one or two Romans). RUNNING TIME IS APPROXIMATELY 374 MINUTES.